Within 5ks of Broadbay there 2 restaurants 2 local shops ,hotel with bistro, and award winning fishand chip shop ,BUT NOTE NO fuel or supermarket on Peninsula.within 15 ks beautifull white sandy beaches ,NZ Sealions ,yellow eyed penguins,little blue penguins and the world famous royal albatross. Also the greater Dunedin area has a raft of other attractions ,taieri gorge railway ,Chinese garden ,monarch cruises on Otago harbour ,and several wildlife tours to name a few ,and Broadbay is the perfect place to base your self ,only 20 mins from Dunedin city ,but far enough away to be a quiet and peaceful place to relax. ENTIRE HOUSE Large backyard to sit and relax,vegie garden,guests welcome to use , when in season. Lovely traditional kiwi home, with heaps of character, ideal for accessing both Otago peninsular and Dunedin. Wish we could have stayed longer! We loved staying here. The views from the dining table made it hard to leave each day, but we enjoyed having easy access to Dunedin city and also to the rest of the peninsula. The kitchen had everything we needed to cater for a family of five, and we weren't tripping over each other at any point. The kids loved playing in the backyard and the chickens were remarkably unperturbed by their games! It's clearly a much-loved former family home, and it was great to meet Shukuru who is so lovely and welcoming. We are looking forward to coming back one day. Loved our stay in this quaint home. This is an older character home but it suited us perfectly. We loved having lots of room and the view from the dining room is amazing. Shakuru was very welcoming even though we arrived early and kindly arranged fresh flowers for our table. She also gave us fresh eggs and potatoes from her garden. Everything was old, but spotless. The bed was very comfortable and it was very quiet at night. Across the street is a park with a tiny sandy beach - perfect for swimming on a hot day - it was very popular. If you don't need the latest and greatest and you don't mind being a ways from the shops and stores of Dunedin, this is the place for you. Be sure to buy your groceries in Dunedin before you come. The little store in Portobello is pricey. 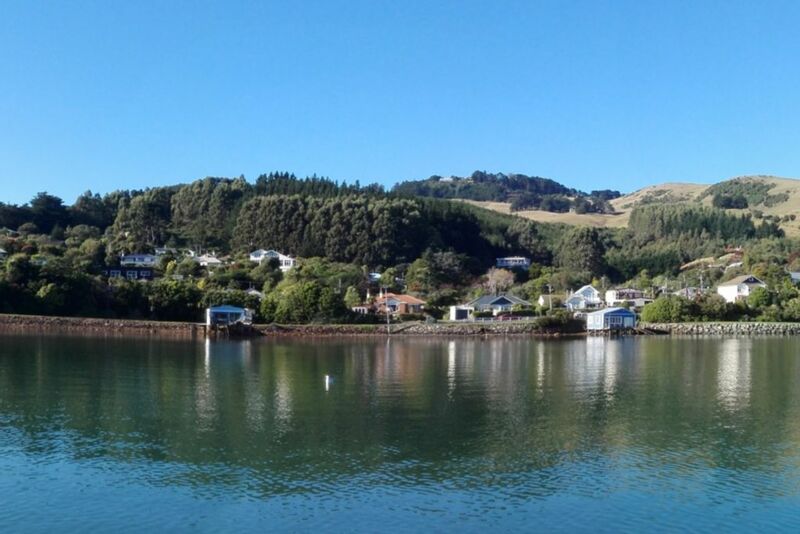 The Otago Peninsula is so beautiful! We climbed the Harbour Cone and the views were amazing! Lovely older home - nicer inside than out. Lovely house and location for a weekend in Dunedin. Friendly and welcoming hosts. Such a great location, across road from little beach and close to Larnach Castle. Broad Bay itself is not very welcoming of dogs so not sure I'd stay there again but in general we had a lovely 24 hours here, despite the rain, thanks. The place was very clean, spacious and had a great view from the lounge room. But it wasn't quite what we expected so we decamped early. The scruffy nature of the exterior was surprising. Older style home but comfortable everything that we needed. Nice touch fresh flowers and fresh eggs. Liked the African influence. Hope to go back and stay.